THE HOTEL ROOM where Whitney Houston died bore the hallmarks of a traveller — suitcases and room-service food and drinks. But it also contained something tragically familiar for the singer – signs of cocaine and its paraphernalia. Cocaine was found throughout Houston’s body, according to an autopsy report released Wednesday that gave the most detailed account yet of how the Grammy-winning singer died just hours before she was to appear at a pre-Grammy Awards party. In the bathroom counter, investigators found a small spoon described by investigators as having a “crystal-like substance” in it and in a drawer they discovered a white powdery substance. The dozen prescription drug bottles found in her suite of the Beverly Hilton Hotel led investigators to initially suspect she died of an overdose, but after further examination and toxicology results they concluded she drowned accidentally. Heart disease, which caused a 60 percent blockage in one of her arteries, and cocaine use were listed as contributing factors. Toxicology results that marijuana, Xanax, the muscle relaxant Flexeril, and the allergy medication Benadryl were also in her system, but none are considered factors in her death. The singer had a sore throat and her assistant suggested she take a bath to get ready for the party. The assistant left to pick up some items at a department store. By the time an assistant found her face down in a bathtub Houston had likely been dead for at least an hour. The water was so hot it scalded part of her body. Water was overflowing and had soaked the carpet in another room. According to the report efforts were made to revive the singer, including using a defibrillator. Beverly Hills police have been awaiting the report before closing the report, although the agency has said there are no signs of foul play in her death. 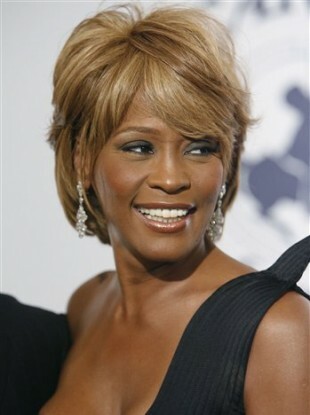 Email “Houston autopsy report notes hole in singer's nose”. Feedback on “Houston autopsy report notes hole in singer's nose”.